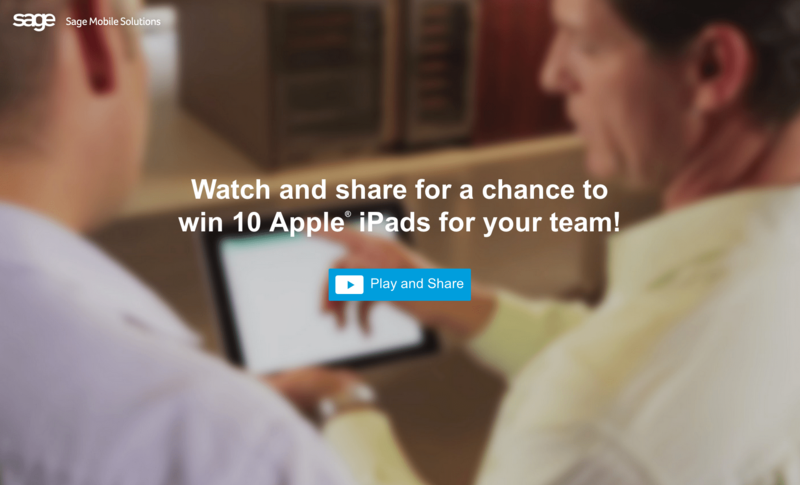 Check your email inbox for a mailing form Sage in which they offer to provide your company with 10 iPads provided you watch their Sage Mobile Solutions video and then share it on social media (Facebook, Twitter, Email). Within the same email Sage announces that their Sage Mobile Applications will soon be available on Android and feature Level 3 credit card processing (Business to Business). Here’s the link to the video though if you want to enter the contest I think you should probably use the link that comes in the email addressed to you (as a Sage partner I’m ineligible to win ). I’m unsure if your eligibility is tied to the email Sage sent (Link above) so dig through your email inbox and use that copy of the email to enter the contest by Tweeting or Facebooking after you’ve watched the video. providing Sponsor with a valid email address. You may share the video on Facebook one (1) time for one (1) entry. You may share the video on Twitter one (1) time for one (1) entry. You may share the video by email five (5) times for five (5) entries. You will be entered for a chance to win upon completion of your share of the video through one or more of the methods listed herein. There is a limit of seven (7) entries per person. Sponsor is not responsible for incomplete, invalid, late, or illegible entries, which will be disqualified. The video is pretty nicely done in HD and features a great use of Responsive Design which means it should automatically resize to whatever screen you view it on. 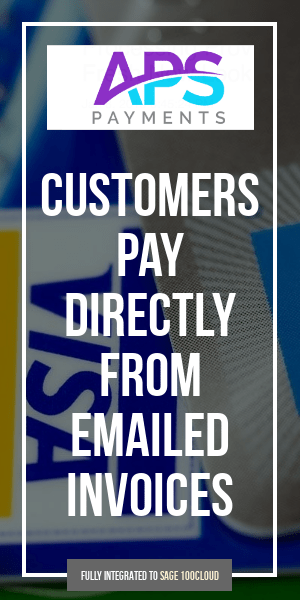 Of the three mobile applications the Billing and Payments seems like it will be the biggest “out of the box” hit because it should require little change in procedure for most users and the functionality of collecting payments via emailed invoices is something almost all Sage 100 users can benefit from.